Asda have once again taken it upon themselves to slash the prices of the Wii U in the United Kingdom down to £149 ($230) and £199 ($310) for the basic and premium models, respectively. This marks the console’s lowest retail price to date which, having only sold 400,000 since Christmas, is experiencing a turbulent time on the current gaming market. Of course, at the time of writing, this price point is exclusive to Asda and it’s unclear whether other retailers will follow suit. Though when the UK based giant reduced the asking prices for Nintendo’s latest console back in March – down to £199/£249 – other companies such as Amazon and HMV quickly followed suit in order to compete. Bearing in mind that an EU law restricts Nintendo pricing their own consoles – the Japanese firm was found guilty of price fixing in European states between 1991 and 1998 – supermarkets seizing the opportunity to undercut their rivals is rather inevitable, so this new reduction may well be the first change in a domino effect. At 3.45 million units sold worldwide, the console witnessed a strong surge during its preliminary release window before fading away from the limelight in the last few months. 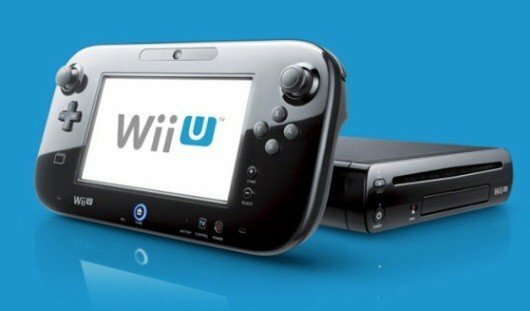 What’s more, Nintendo admitted that the Wii U missed its financial target for 2013 but, with games such as Mario Kart Wii U, Pikmin 3 and a HD remastering of The Legend of Zelda: Wind Waker all cramming up the pipeline, the company have promised to rekindle the beleaguered device by the end of 2014’s fiscal year. In saying that, after downsizing their E3 press conference and losing third-party studios such as EA – the publisher have stated their intention to skip releasing the next iteration of Madden NFL on the console – Nintendo clearly have their work cut out to rejuvenate the Wii U’s appeal to developers and consumers alike. Whether this price cut will extend to other territories in the near future is unclear for now, but with supermarkets such as Asda dedicating less space and reducing their stock of the console, it seems as though the Wii U’s retail presence is quickly disappearing. As a stop-gap between this generation and the next, Nintendo’s most up-to-date gaming device is a shadow of the Wii in terms of commercial success. In the end, pricing falls into the hands of individual retailers in Europe, but promoting games to sell your console as a desirable investment is a dilemma that only Nintendo can answer for. What do you think about the price cut? Is it long overdue for the Wii U? Sound off with all your Nintendo-related thoughts in the comments below.